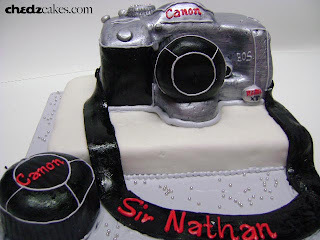 Ej ordered this camera-shaped fondant cake for their boss, Sir Nathan. We used black and silver for the fondant and added in silver dragees around the base. We also included an extra lens. They chose dark chocolate for the flavor.